Home Bollywood Deepika Padukone facebook live Ghoomer Song.Ghoomer Song Modification Karni sena Padmaavat Padmavat Padmavati Padmavati Release Date Ranveer Singh Sanjay Leela Bhanshali waist covered As If The Entire Karni Sena Hoopla Wasn't Enough, Padmaavat Now Gets Live Streamed On Facebook! 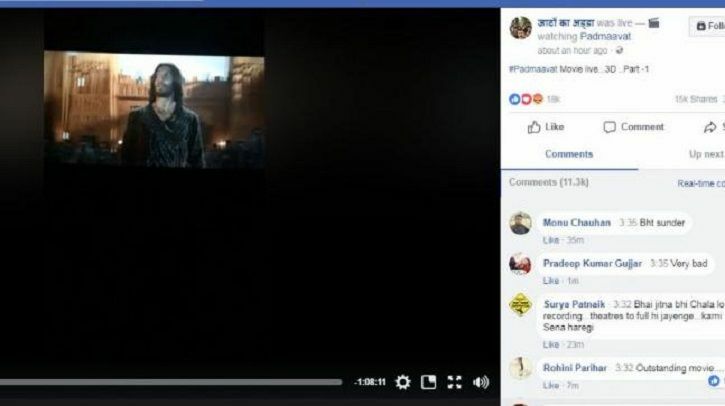 As If The Entire Karni Sena Hoopla Wasn't Enough, Padmaavat Now Gets Live Streamed On Facebook! Ranveer Singh-Deepika Padukone starrer Padmaavat is going through troubled waters ever since the release of its trailer. From raising objections on the song Ghoomar to having concerns over Rani Padmini's character, Rajput Karni Sena has been protesting for a ban on the film. After being scanned by the Censor Board, Padmaavat got a green signal with minor modifications and few edits. Supreme Court too gave a nod to the film's release. And since then the movie has been unstoppable. Not only the film, even the law breakers are going to every length in stopping the release of the film. In another turn of events, the film that officially released today was live streamed on Facebook. A Facebook page called 'Jaaton Ka Adda' which was created today itself, live streamed Sanjay Leela Bhansali's film Padmaavat from a movie theatre screening the film. Over 15,000 people had shared the link and the video on Facebook received over 3.5 lakh views by the afternoon of the film's release. 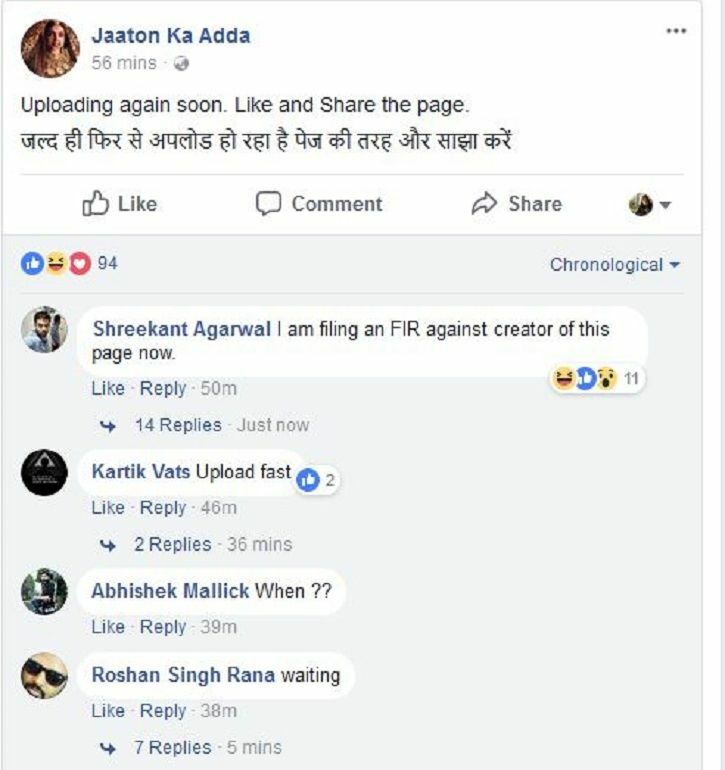 The video was soon pulled down but the page admin has promised it will upload the video again.